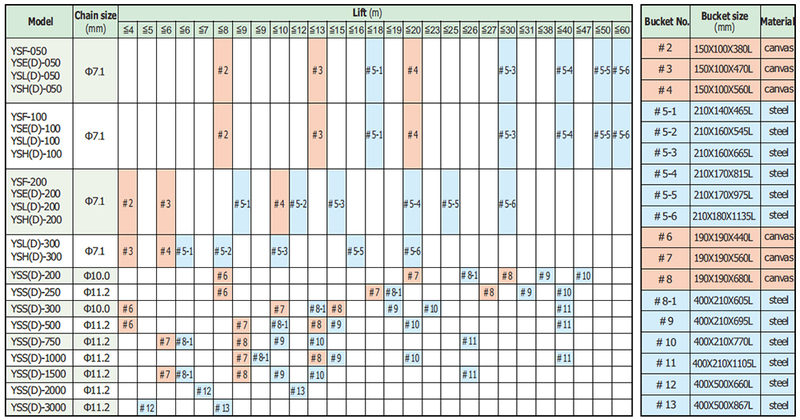 Limit switches hold load chain from running out. Optional emergency stop features available. 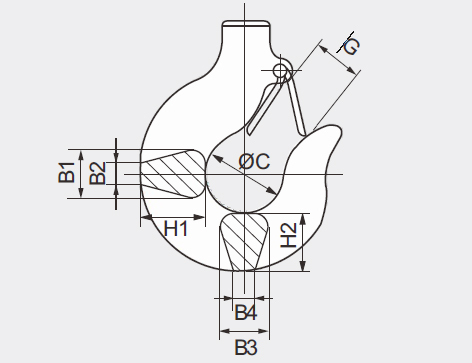 Advanced phase error relay keeps motor motionless at incorrect power connection. Optional electronic overload protection available. Aluminum alloy casting, features rigid structure and light weight. 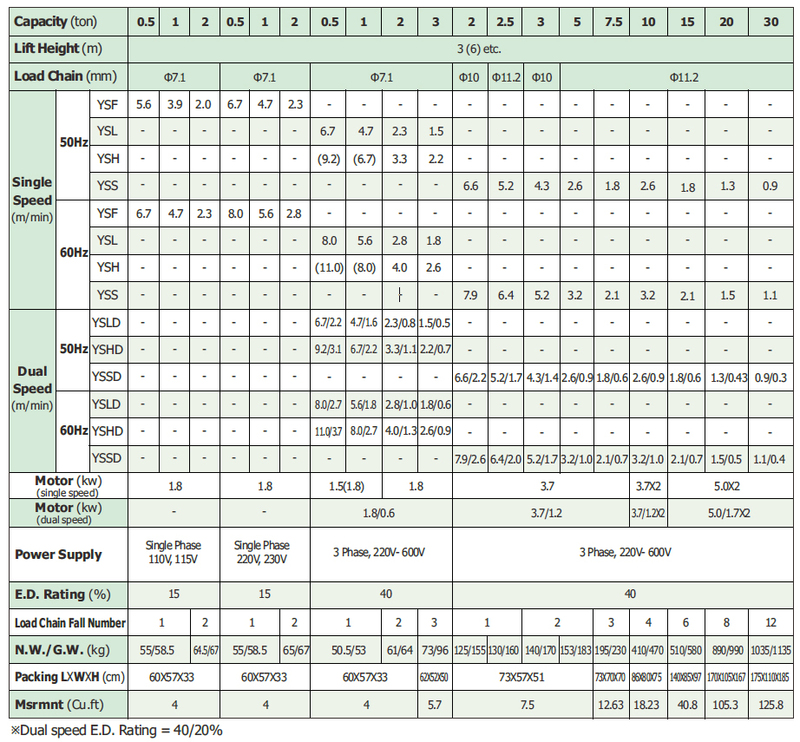 Motor framed with radiant cooling fins, permits 40% (dual speed 40/20%, YSF-series 15%) duty cycle. “Electro-Magnetic Brake Controller” -a unique design in its field, R.O.C.Patent No.27417 features simultaneous braking upon release of P.B. even under full load. Fitted at both top and botton ends, shuts off power automatically to prevent load chain from running out. 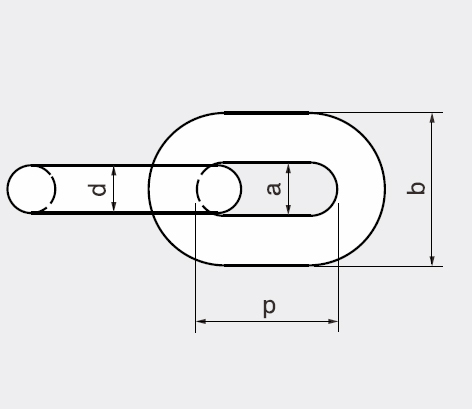 Grade 80 case hardened alloy steel chain. Hot forged high tensile steel, rigid and durable, 360°swivel, fitting with safety latch to assure safe lifting. Double high-tensile alloy steel plate bracket, features rugged and durable construction. Advanced design, assures secure braking even under overload. 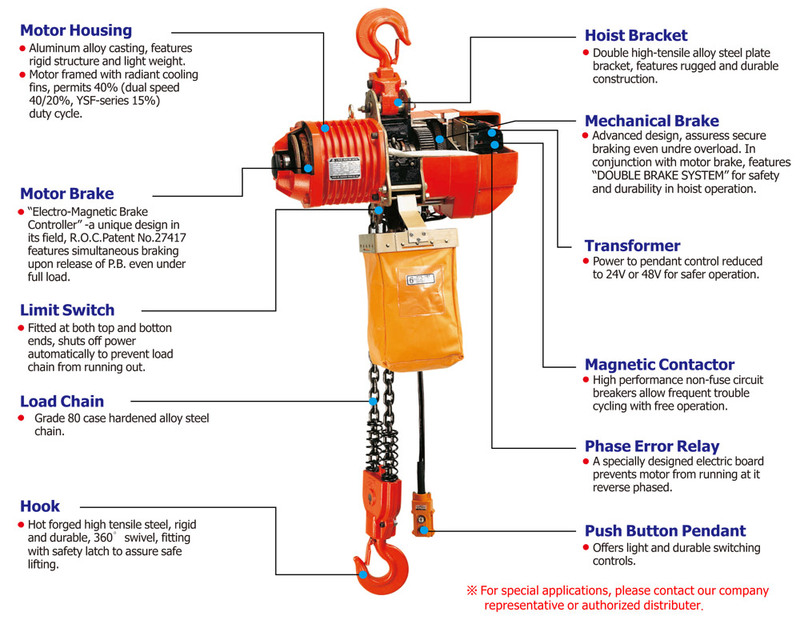 In conjunction with motor brake, features “DOUBLE BRAKE SYSTEM” for safety and durability in hoist operation. Power to pendant control reduced to 24V or 48V for safer operation. 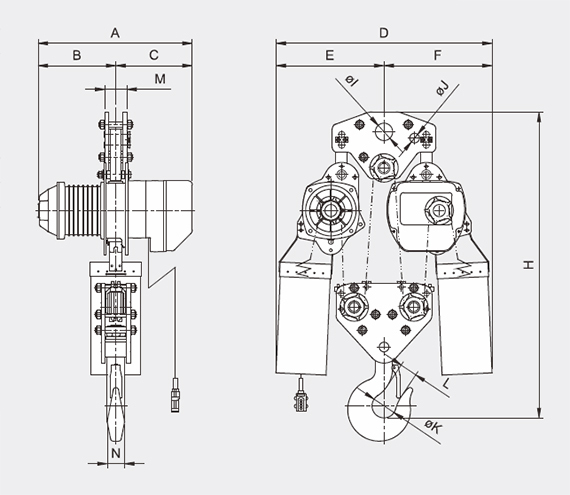 High performance non-fuse circuit breakers allow frequent trouble cycling with free operation. A specially designed electric board prevents motor from running at it reverse phased. Offers light and durable switching controls. 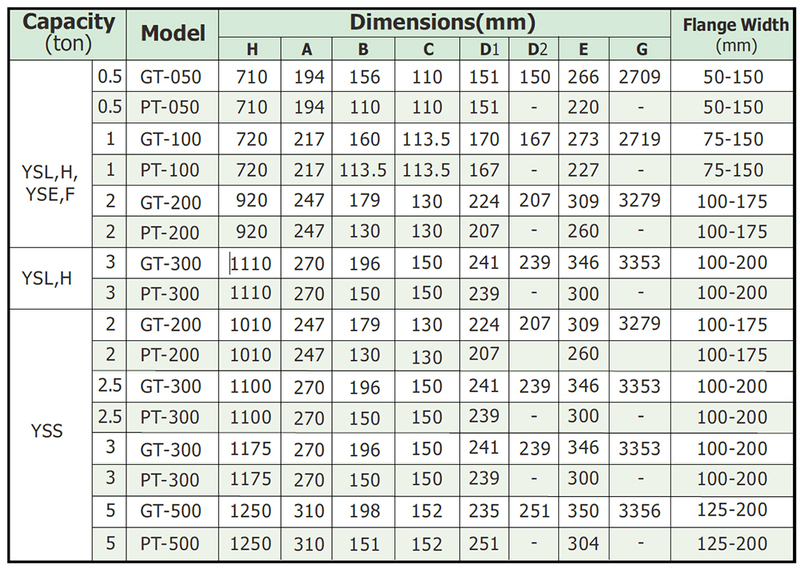 If the weight is less than 10 kg, it will be considered as 10 kg. 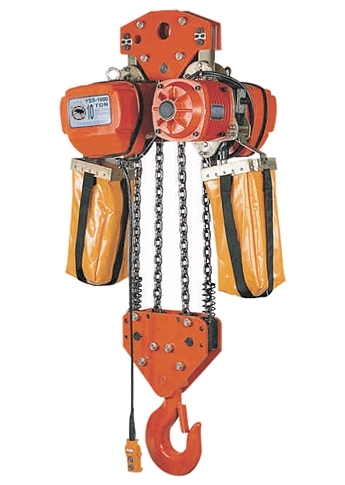 ※There are 2 chain bucket with hoist above 10 tons. 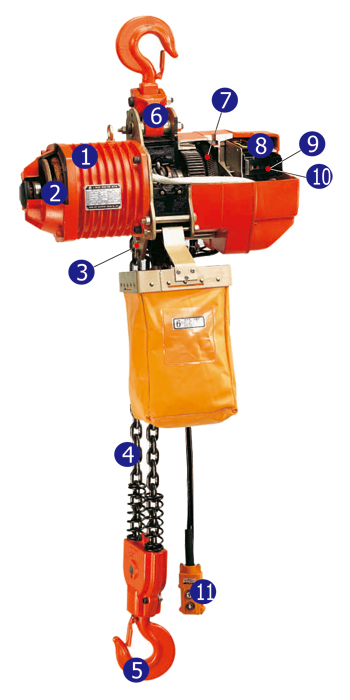 Electric Chain Hoists are available in all standard voltages of three Phase power, from 220V to. 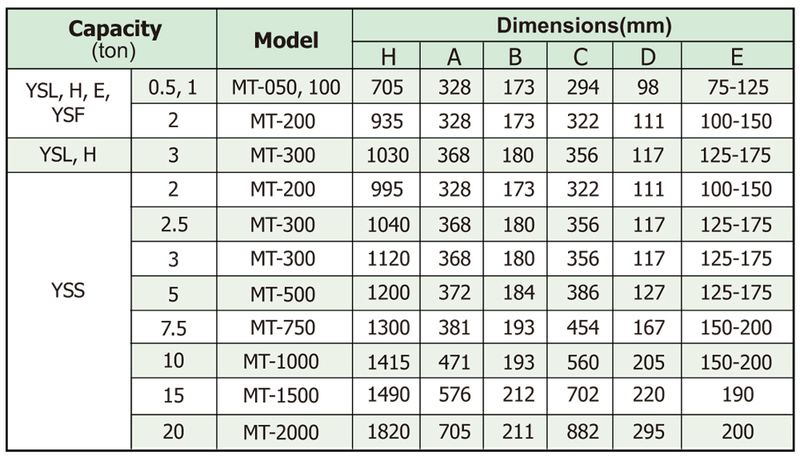 600V;as well as 115V or 230V of single Phase. 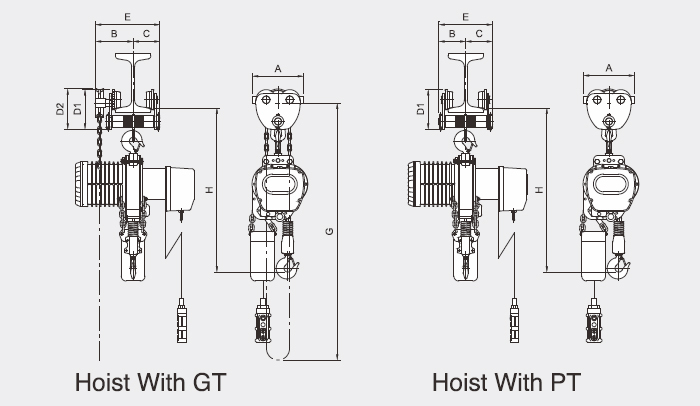 Three Phase hoists are re-connectable. 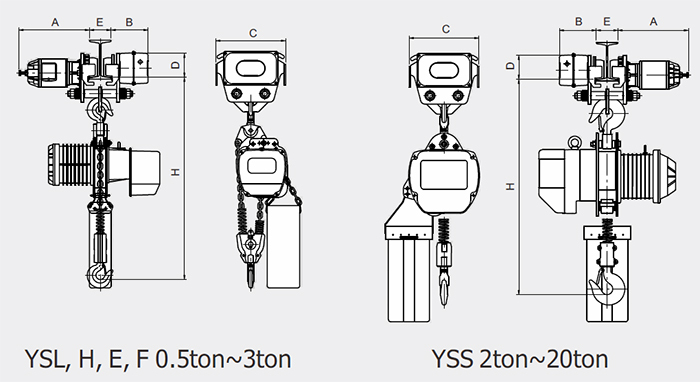 Optional height available upon request (may be charged extra according to load chain length). 2-button type: up and down.